Editor’s Note: The following article was written by Blake Heiges. BLOOMSBURG, PA., NOV. 17, 2016. 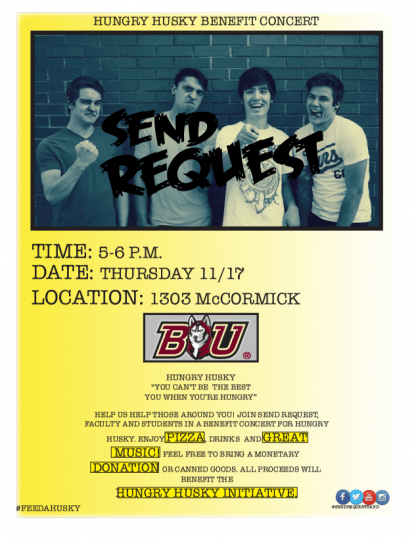 The pop-punk band, Send Request, will partner with the Hungry Huskies organization to hold a benefit concert Thursday, November 17th, in 1303 McCormick from 5:00 P.M. to 6:00 P.M. 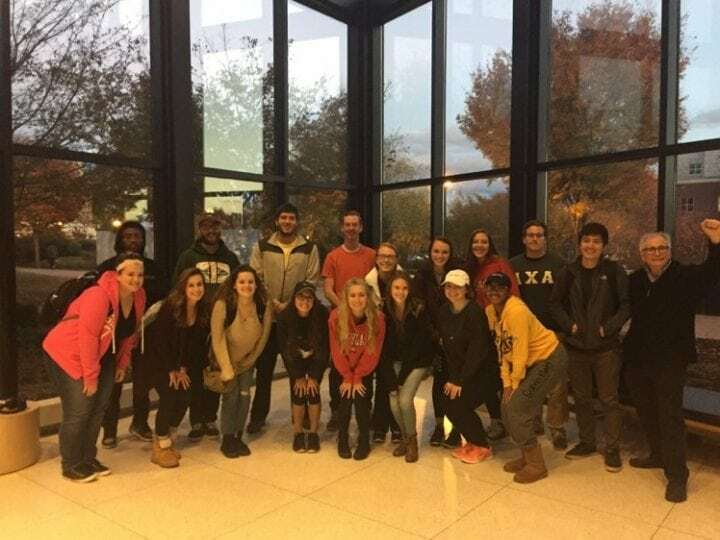 The event will be hosted by Dr.Ganahl’s Publicity and Public Relations class to help feed hungry students with the collection of non-perishable food items. Free food, music, and fun will be provided at the event. Event is open to the public. Financial and food donations are welcomed. 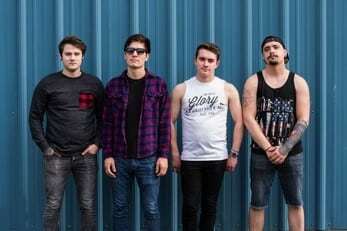 Send Request is a pop-punk quartet from Nanticoke, PA. Formed in 2013, members (from left to right), Derek Holminski , Andrew Blank, Jonathon Labenski , Aron Wood, have received praise for their guitar driven, hook-filled sound. Hungry Huskies is a new organization which strives to gain awareness and fight against student hunger. The organization collects food donations to aid those in need.